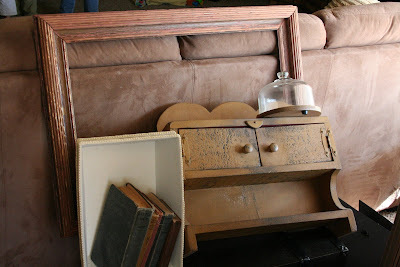 Marty at A Stroll Thru Life is having a cloche party! She is one of the sweetest, most sincere people I've met through blogland and I adore her. Oh Melissa, Love the post. 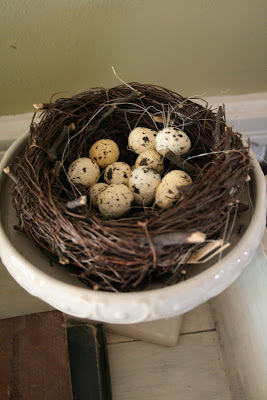 I so love the little cloche with the nest and eggs. Precious, never needs a word with it. 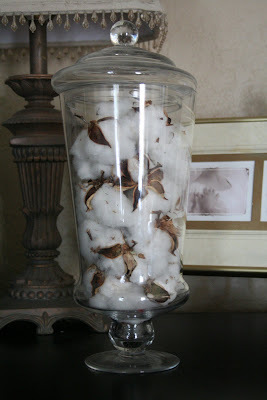 I love the apothecary jars with the cotton hulls. So precious. 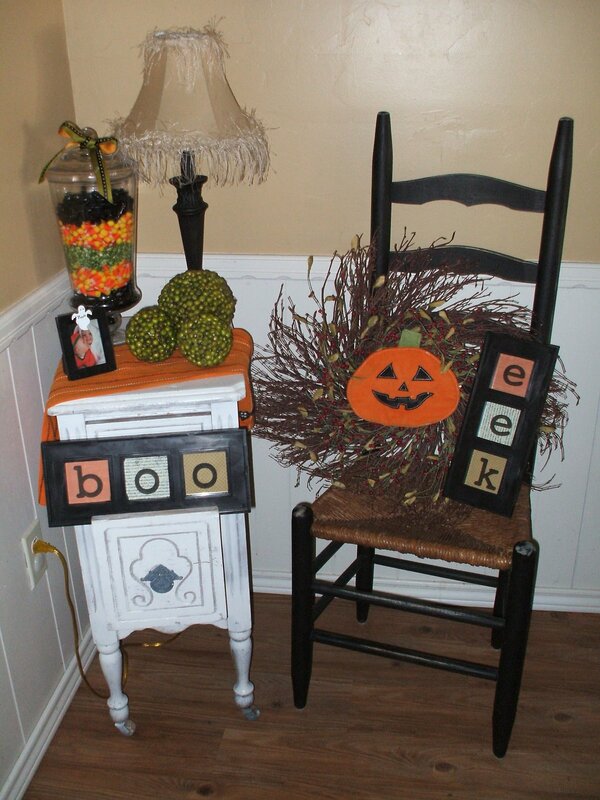 Loved the ladder back chair with the wreath and the EEK sign. Just darling. We here in Phoenix are so tired of the 100+ temps, we keep thinking if we decorate that the weather will get nicer. We shall see, hu? Melissa - These are just great! I love the one with the candy corn and the black jelly beans. If I did one of those, it would only have the jelly beans because I would eat the candy corn. I just love it! Thanks for sharing. This party has been so much fun. 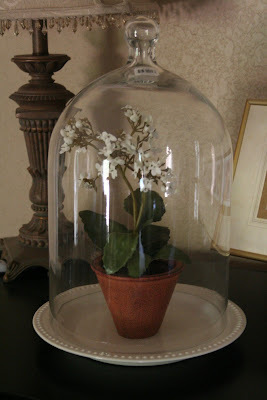 Creative ways to use cloches all over the house! 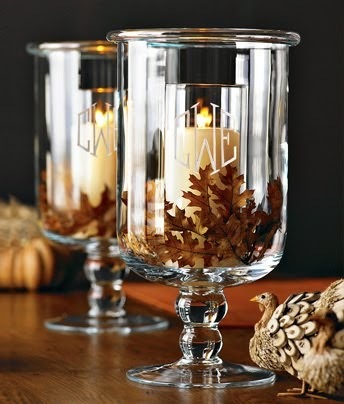 My home has been taken over by Glimpes of Fall decorations, please stop by when you get a chance. I love your blog and visit several times a week. What wonderful displays! Love the cotton! 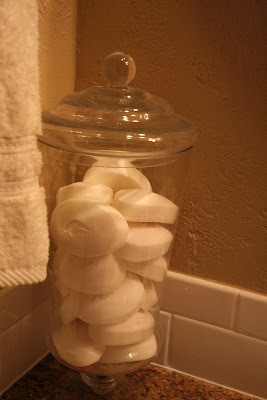 I love the one's with the soap and cotton bolls, how clever. And all the candy corn I'm seeing is really affecting my sweet tooth....lol. 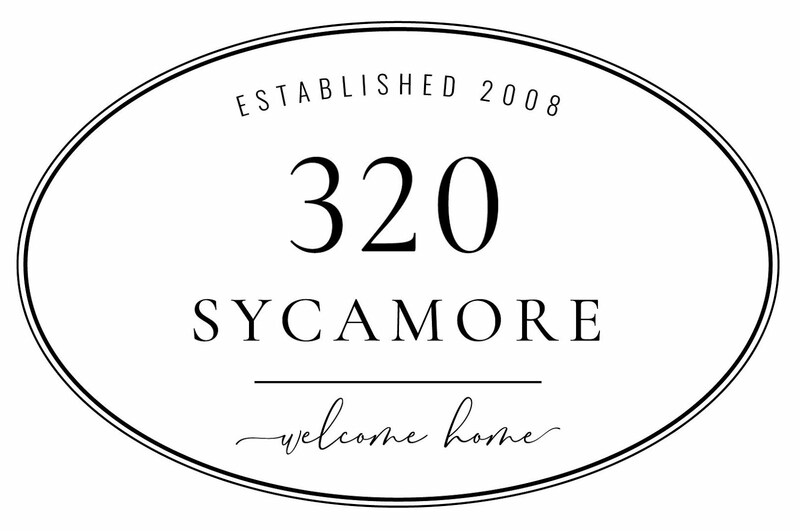 Please stop by and say hi. Be Well! Lovely post. I enjoyed looking at all your cloches. And I love your little Halloween corner...too cute. Thank you so much for sharing. Have a wonderful weekend. cute cute cute, love the soap one, and your halloween display! Oh gosh, Melissa! 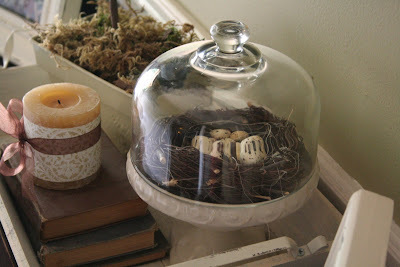 I love all your cloches and apothacary jars!! You really have put a lot to good use. I love the beachy ones, I am trying to do more of that at out Lakehouse. Just trying to create things myself instead of paying a bundle. You have given me some inspiration!! Your cloche display is just fantastic! You have captured fall beautifully. Your displays are so unique...I love how you combine all of your finds to make a display...I will keep that in mind when I do mine. 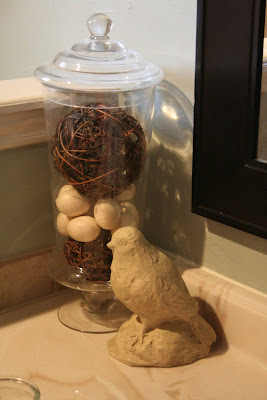 I love the cotton boll jar! Fabulous!!! 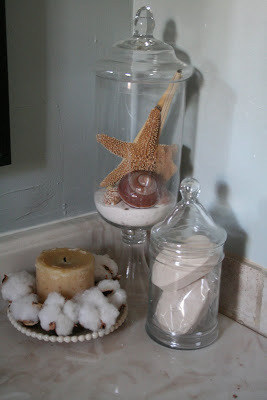 I love the jars with the soap & the cotton the best. Simple, but fabulous! and it looks like fall.